New Registered Attendee - Triggers when a user registers to one of your Webinars. Next, you'll be asked to enter your WebinarNinja API key. Get the key by logging into your WebinarNinja Account. Click Integrations on the left menu. 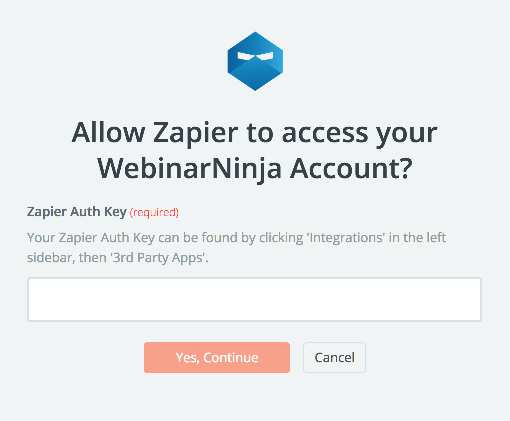 Go to 3rd Party Apps and copy the code under Your Zapier Auth Key. If all steps were successful your WebinarNinja account will now be successfully connected.